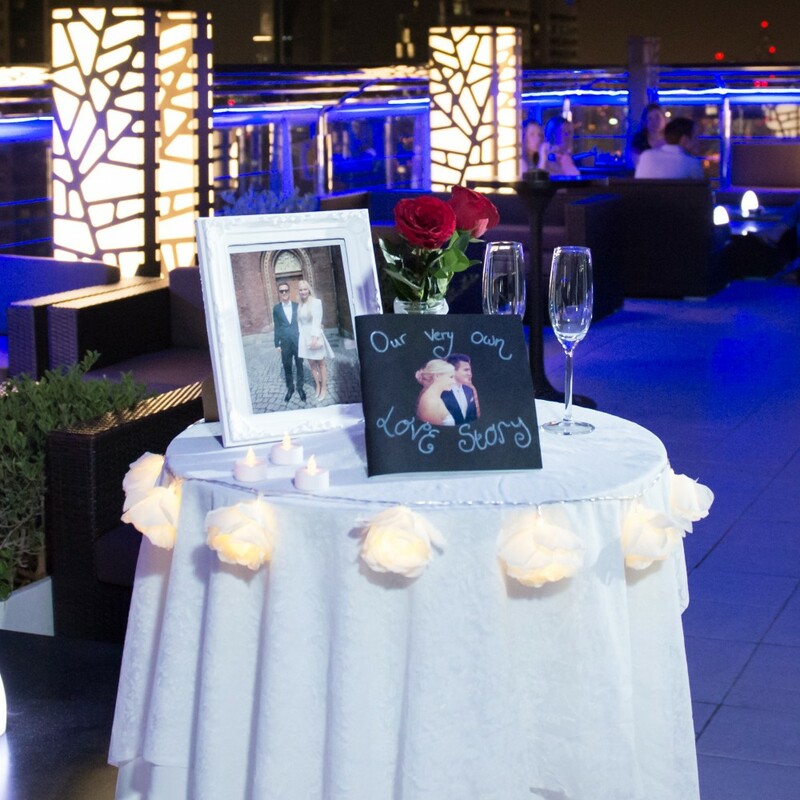 How We Met: We met on a night out in Dubai in the same bar where he proposed. I had seen him around (we work together) and always thought he was gorgeous but I had never spoken to him. We were both out to dinner with our friends. When he saw me, he immediately came up to introduce himself. We got talking and we were laughing all night long. 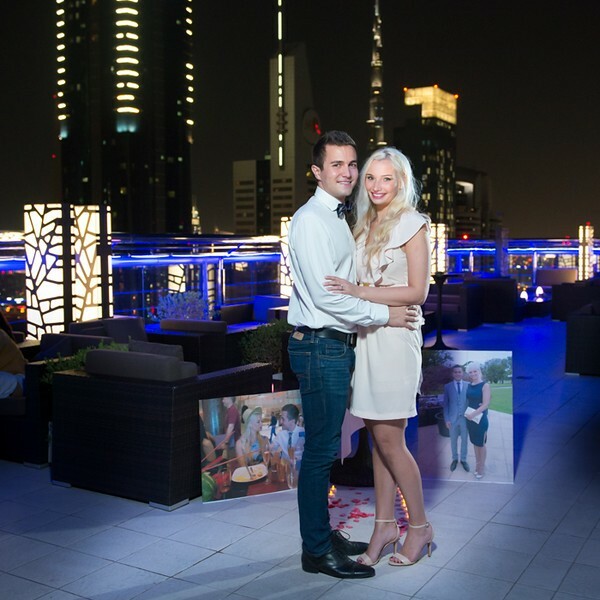 The next evening we had our first date (in the same bar/restaurant), it has amazing views of the Dubai skyline and the Burj Khalifa and we have been together ever since. how they asked: David had said that we were just going out for dinner, so I didn’t think anything else of it. We met downstairs in the lobby and I was so surprised when a Rolls Royce Phantom was waiting for us. I was so shocked and couldn’t stop laughing. I had never been in a luxury car before and this is an ongoing joke between me and David. I once said that they look cheap, until David told me how expensive they actually are- he always teases me for having absolutely no idea about cars. We had an amazing ride all around Dubai before the car dropped us off at the hotel (where the restaurant/bar is). David took me up to the top of the hotel where I was surprised to see a table setup in the middle of the bar. There were candles and rose petals and huge pictures of us both. David then lead me closer to the table where I saw more pictures of us and a scrapbook saying ‘our very own love story’. In the book, were pictures from when I was a child, right the way through to our date nights, trips that we had taken. He had really taken the time to write a caption under each photograph. It was so romantic and thoughtful (typical David). One the last page it had a blank space and ‘….’. He then got down on one knee and proposed. I couldn’t believe it!!! I was so so so happy and crying like a big baby hehe. We then spent the rest of the night celebrating with friends.